Located in the heart of the Cotswold hills, close to Northleach in Gloucestershire, the American army hospital built to cater for anticipated WW2 casualties turned out to be ideal for a boarding school. 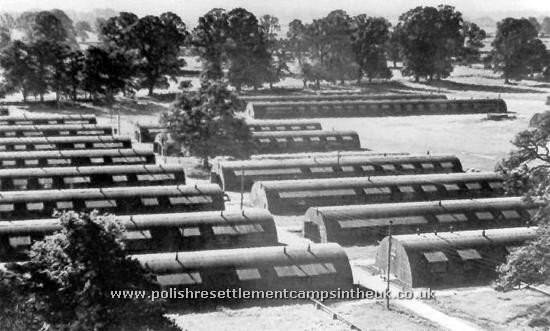 Although depressing from the outside, the large collection of nissen huts on Foss Hill in the grounds of Stowell Park provided ample space for teaching and our American allies had installed excellent plumbing. There were classrooms, specialised subject rooms, studies for older pupils, libraries, gymnasia, laboratories, a domestic science flat, recreation rooms, a theatre and cinema. 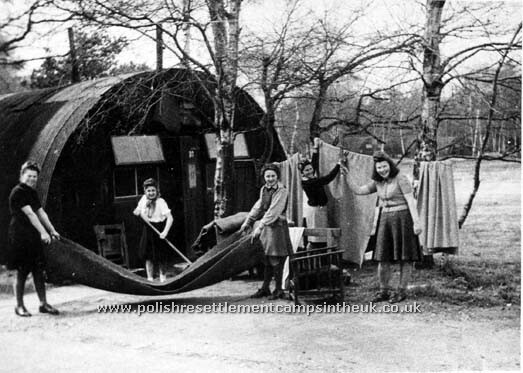 Dormitories, although cold in the winter, were spacious and easy to keep clean. Dining, washing and sanitary facilities were good and dispensaries, dental rooms and sick bays achieved antiseptic perfection. Central in every Polish school, no matter the type, was a Chapel, often quite imposing with beautiful interior decoration. The Committee for the Education of Poles (the Gater Cttee.) was initially responsible for two boarding grammar schools for girls; Dunalastair House, Perthshire with 84 girls and West Chiltington, Sussex with 165 girls. It was soon evident that in order to meet expanding numbers these schools would have to move to larger premises. In September 1947, the West Chiltington girls moved to Stowell Park where, by April 1950, their numbers had soared to 419 pupils. The girls from Dunalastair House occupied, from April 1948, a small country mansion, Grendon Hall near Aylesbury, where a year later their school had a roll of 211 pupils. In July 1951,Grendon Hall transferred its pupils to Stowell Park. In 1949 a secondary modern boarding school was established in Stowell Park Camp and the two school ran side by side. In September 1952 the secondary modern school joined with their grammar school neighbours to form a bilateral secondary school. By July 1954 all pupils had completed their courses and the school was closed. The "Ingacy Paderewski" grammar school that ended up in Stowell Park had its roots in Trani in Italy where it was set up by the Polish Government in exile to cater for the educational needs of Army families and young people attached to the Polish 2nd Corps. After the war they were joined by young people liberated from prisoner of war and forced labour camps in Germany and Austria. Most of the young women that arrived in Trani from Germany and Austria were girls who, during the war, were rounded up in the streets by the Germans, often without their families knowledge, and deported to Germany as farm and factory labourers. They were just teenagers at the time, some as young as 13. Others had been taken as prisoners of war after the fall of the Warsaw Rising in October 1944. Once liberated by the western allies they were taken under the wing of Polish forces fighting in Europe. After war ended a few chose to return to their homes and families in communist Poland. 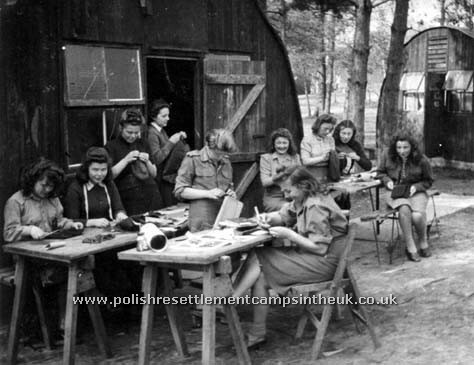 Others came to the U.K. as brides of soldiers serving with the 1st Polish Armoured Division. The rest were taken by the Polish 2nd Corps to the school in Trani where they were to complete their education. 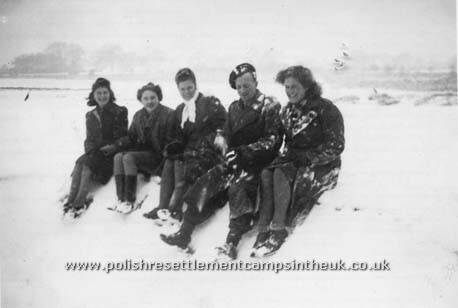 They eventually arrived in England, with a degree of official connivance, in 1946 with the Polish 2nd Corps under various guises of Army Cadets, orphans and soldiers fiances. Once in England the school was temporarily re-established in a disused army camp in West Chiltington. Mira Rzemek, Stefa Wrzesińska, Tosia Joroszyńska, Halina Wieczorek, Zosia Hałas (Wojtkiewicz), Teresa Ferenc, Wanda Rada, Jadwiga Groszek. 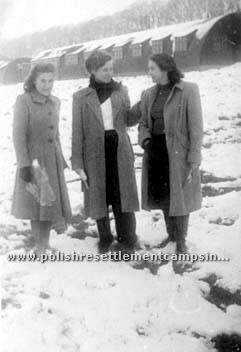 In 1939 Tosia lived with her family in Warsaw, she was a 13 year old school girl when the war interrupted her education. Not being able to continue with her education she, like many patriotic young boys and girls at the time, joined the Underground Army (AK) and fought in the 1944 Warsaw Rising. 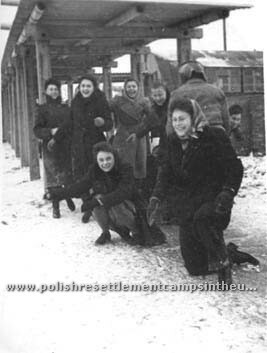 After the fall of Warsaw on the 9th of October 1944, at the age of eighteen, she and many other young women who took part in the uprising surrendered and ended up as prisoners of war. 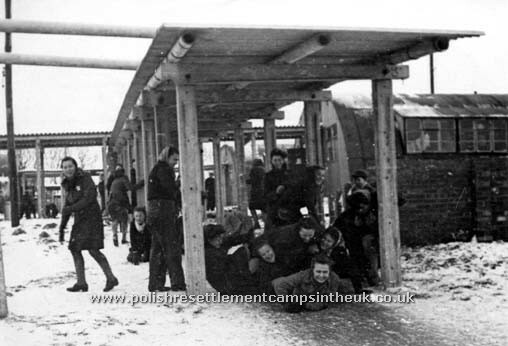 As the Russians were advancing the prisoners were moved to camps in the west ending up in Oberlangen Stalag VI(C) where they were liberated in April 1945 by the 1st Polish Armoured Division. They were free at last - but what next was Tosia's dilemma? As a former resistance fighter, encouraged by the advancing Soviet Army to rise against the Germans and then abandoned to perish in the ruins of the city, returning home to Soviet dominated Poland was not an option. Like many of the young women she was now anxious to complete her education which had been interrupted by the war. Tosia remembers a visit by gen. Anders, commander of the Polish 2nd Corps in Italy, during which he promised that the girls would be given an opportunity to complete their education in Polish schools that had been established in Italy. On the way to Italy their transport stopped in the southern Bavarian town of Murnau in a camp that had been a prisoner of war camp (Oflag VIIA) and had housed some 5,000 Polish officers taken prisoner in the September 1939 campaign. Among the Polish ex-prisoners were experienced teachers and professors so when the camp authorities learned that the girls were on their way to schools in Italy they offered to set up a school for them in Murnau which Tosia and about a hundred other girls, mainly her friends from the Warsaw Rising, attended for a year. The Murnau camp was to be closed in 1946 so, in the summer of that year, the Polish 2nd Corps transported the girls in a fleet of army trucks to the school in Trani in Italy. Trani itself was due to be closed once the Polish 2nd Corps completed its transfer to the U.K. so the girls' future was still uncertain. The original plan to move the school as a whole to the UK was rejected by the British authorities whose formal commitment was limited to accepting soldiers and their families only. Once again Tosia's future was in the balance. No formal promises were made but the army authorities were determined that these young people would not be left to an uncertain fate. 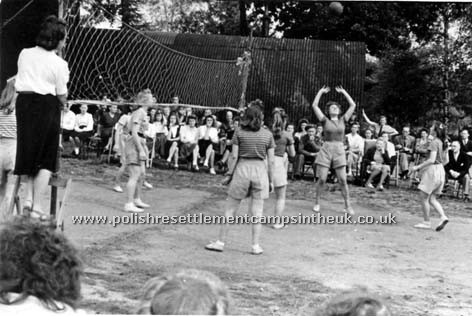 Tosia watched anxiously as first a group of her friends left for the UK as army cadets followed by another group described as orphans. 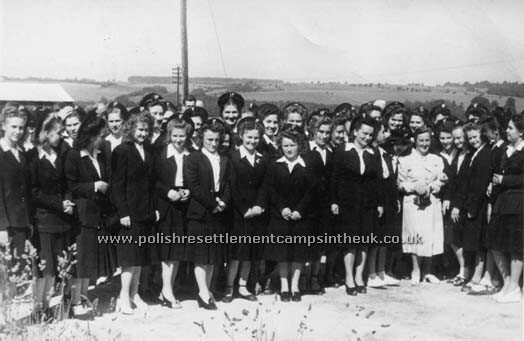 The girls' prospects were beginning to look very bleak until the commander of the Polish 5th Rifle Division decided that the girls should travel to the UK as fiances of his soldiers. Both the girls and the soldiers who volunteered to be their fiances had to sign formal undertakings not to exercise their rights as fiances (whatever those might have been) and although they had to know each other's names most of them never met. 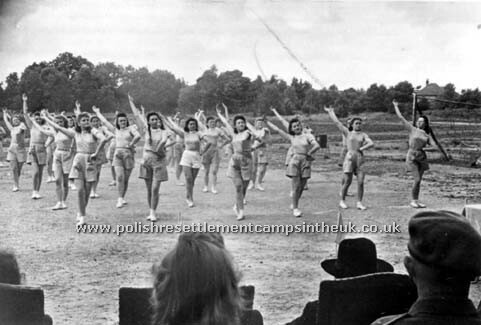 This final group of happy "fiances" travelled first to a transit camp in Grota Mare near Ancona and then by train across Europe to French channel ports and across the channel to West Chiltington camp were the school began to reassemble. 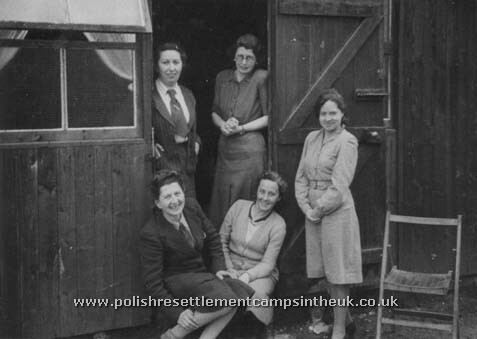 At this stage the school was not recognised as a school but The Committee for the Education of Poles in Great Britain began the process of making it one by appointing Mrs. Maria Felińska, who had travelled with Tosia's "fiances" group, as head. They also had their school chaplain Fr. Klemens Borowicz who was to teach maths. Other teachers arrived and so arose the Girls Gymnasium of Ignacy Paderewski. 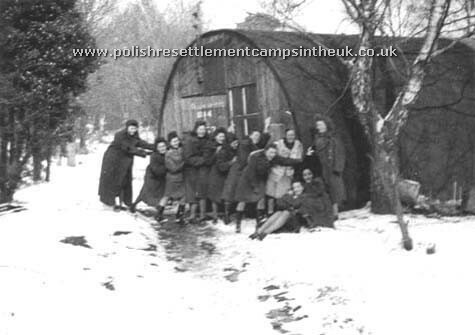 The conditions in West Chiltington camp where not really suitable for a school and the cold winter of 1947 prompted the authorities to look for a better site. 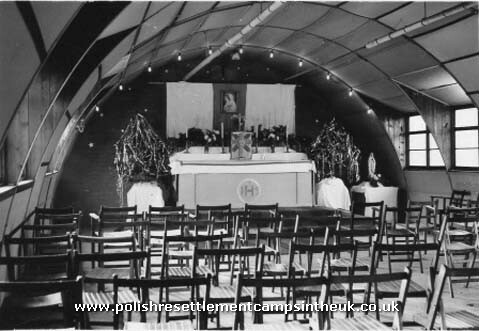 In September 1947, the school moved to Stowell Park Camp in Gloucestershire and although still housed in long black Nissen huts the conditions were much better and, under the guidance of their dedicated teachers and spiritual leaders, Tosia at long last was able to complete her education. Tosia married and settled in the U.K. but it was nearly twenty years before she was able to travel to Poland to see her parents and sister. Joanna Chmielowska, Tosia and Hela Bojar. A game of volleyball was always enjoyed by all. Z. Tomaszewska, Z. Wróblówka, S. Wrzesińska. Thank you to Tosia Rumun (Jaroszyńska) for the information and photos.